Ask your lawyer how much is he charging in representing you in a case to protect your right. The answers to these questions are important to enable you to assist if the lawyer is the right fit for you to handle your case. 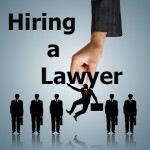 Otherwise, you will be left groping in the dark, spending a lot of money when you are not fully assisted by the lawyer.